We had been talking a lot about roots. 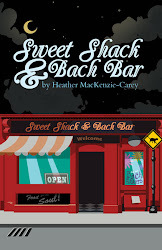 In Sweet Shack & Bach Bar, http://pixiedusthealing.blogspot.ca/2012/02/sweet-shack-bach-bar-book-review-from.html Samantha has Root Chakra issues when she drops into the counsel of Wise Woman and Merlin. Samantha has lost her sense of safety and security- the major challenges of this first Chakra. When the Root Chakra is developed and balanced, you know you "belong" and you feel you have a "tribe" or a place of security from which you can branch out. In order to be able to move through the chakras finding balance, growth and development, you need to have a secure base. Issues that occur in childhood to disrupt your sense of security can interfere with the balance of this chakra, sometimes affecting you later in life. We spend a lot of time "tracing our roots" it seems. The Internet has increased the ability to perform extensive genealogy searches to trace your "family tree" and get connected with your ancestors. Some people find this helps them understand themselves. They like to know where they "came from". Some mental health counselling is based on examining your early childhood and repairing that root chakra so you can move forward. So I'm going to go way out there on a mossy limb and figure out what I think the vibrational energy of moss might contain. First of all moss likes to grow in the shade. A lot of people think it only grows on the North side of trees , but if you're using that myth to try and find your way out of the woods, you might find yourself going in circles right about now. It's happy to grow on either side of the tree, or anything else, as long as there is shade. 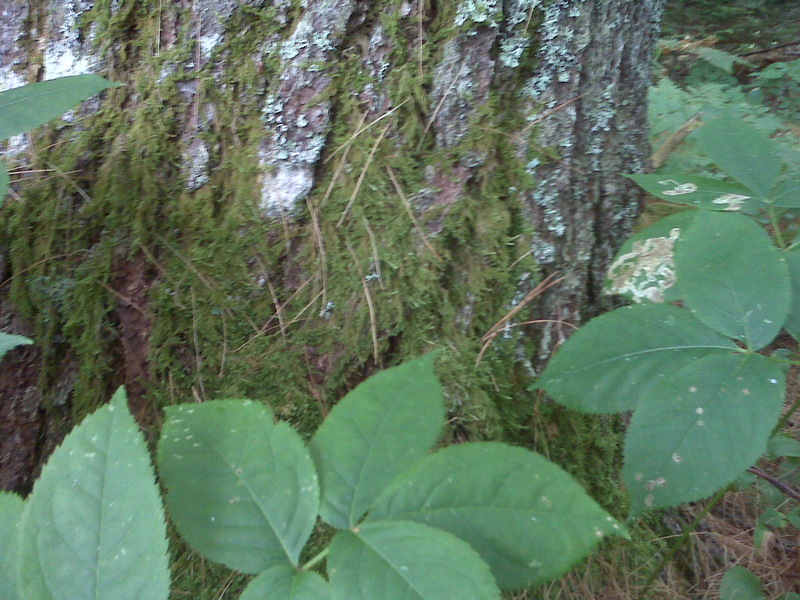 In fact, today's picture is moss growing on the south side of a tree; just for the record. The point, perhaps, is that it isn't reaching for the sun, needing that kind of warmth or relationship. It is just quietly growing in areas others might not even choose to grow. It's kind of smart like that- less competition I think. It would seem moss doesn't need to "follow the crowd" either in that regard. In my opinion, moss seems an equal balance between hard and soft. If you pick a piece up it feels pretty dry, almost scratchy, but leave it alone and it's soft, cool, and provides a wonderful resting spot, a velvety carpet. But that softness is kind of deceiving. You don't crush moss by walking on it or sitting down on it. Once you're gone, it bounces right back again, seemingly undisturbed by outside intervention or interference. I guess I'll have to watch closely through the winter season, but it seems to me that the moss doesn't really die in the winter even. It's "just quietly there", through all the seasons, and whatever the conditions. Maybe the lack of a root structure isn't a lack at all for the moss plant. Maybe it provides a sense of freedom for growth. Maybe moss is a bit of a rebel in nature. http://pixiedusthealing.blogspot.ca/2012/06/tarot-card-rebel-allowing-self.html Part way between a fungi and a plant, it maintains the positive qualities of both. It has learned the ability to allow growth to occur in new ways without relying old structures and deep rooted traditions. So here's what I think a "moss person" would be like. I figure they are the quiet rebels that "fly under the radar". They aren't looking for a lot of flash, they don't generate a mass of color, or stand out in the crowd really. They "do their own thing", getting what they need from the world, surviving in situations others wouldn't even bother to compete for, or in areas others have given up on. They provide a cushion for growth. They are the stable people in the world upon which others flourish. Other people gravitate to "moss people" because they provide cool, soft comfort in what can be a rough and scratchy world . 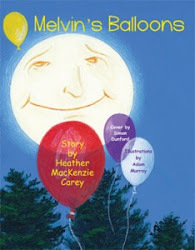 They are pretty close to "mother earth" and maintain that nurturing like quality, but they continue to grow themselves. They don't exist just for others. They give of themselves to others, but they balance taking with giving and maintain their own structure at the same time. Moss people don't really need roots to cover new ground and change the appearance of the old. They have learned that it's not nearly as important where you came from as it is where you're going. And that's what they are focusing on this time around. Wise Woman gave Samantha Rock Rose, Sweet Chestnut, and Clematis to help her balance her Root Chakra. Under Merlin's careful observation, Wise Woman also made Ginger Cookies for Samantha because ginger root resonates with the Root Chakra and our sense of being grounded. I wonder if Wise Woman might give Samantha Moss essence next time around?